Two years ago, we launched Android for Work to help connect organizations and enable their employees to work smarter and more efficiently. As a program, Android for Work introduced a common set of APIs built directly into Android and Play, providing a consistent way of managing any Android device. Android has extended enterprise support significantly since Lollipop, with security as a top priority. Android helps protect enterprise data and user privacy at a platform level by storing work and personal data separately on personal devices. Most recently, with Nougat, we added support for file-based encryption, always-on VPN, and a separate password for work apps. These and other management capabilities expand on the multiple layers of protection that come built-in with Android. With the expansion of capabilities in Android, we've also seen partners unlock new use cases for customers. As an open platform that can fit any form factor, Android now powers a growing range of purpose-built devices from leading manufacturers such as Zebra and Honeywell that can help companies and their employees work in new ways. Thanks to these investments and the work of our partners, Android has become the most popular operating system on enterprise smartphones shipped globally. 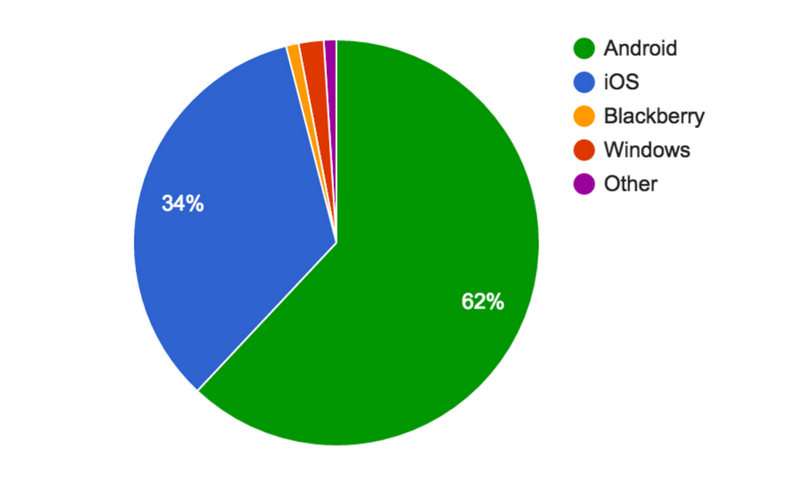 Android devices account for 62 percent of worldwide enterprise smartphone shipments, according to IDC*. To match the progress of enterprise support in Android, going forward we’ll refer to enterprise capabilities simply as part of Android and Google Play. With platform-level support shipping with every GMS compatible device, Android for Work and Play for Work have become a core part of Android and Google Play. We think this change better reflects the built-in nature of enterprise features of Android and our commitment to enterprise mobility. We've only begun to see how mobile technology can benefit businesses, and as a platform, we rely on the innovation that comes from our ecosystem partners. To further that collaboration, our London office will be hosting an Android Enterprise Partner Summit in January for our Android partners -- to apply for a spot to attend and learn more, go here. Customers interested in how Android can improve their business can learn more or get started and try it here. Source: *IDC Worldwide Mobile Phone Tracker 2016 H1.